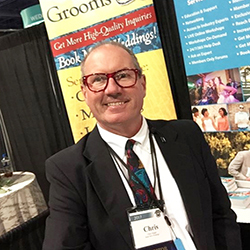 Are you looking for a WEDDING INDUSTRY EXPERT to speak to your small group, monthly networking meeting, or local association? I can customize an educational program for you or choose one of my popular 45-90 minute presentations. Drop me a line using the inquiry form here and I’ll follow-up with you promptly with my availability and fees. Alternatively, you can call me at (978) 325-2983.